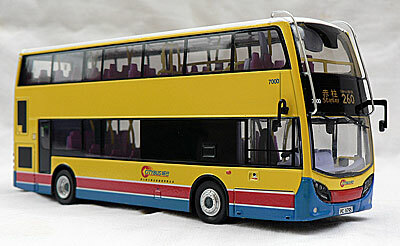 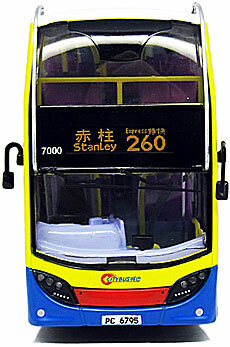 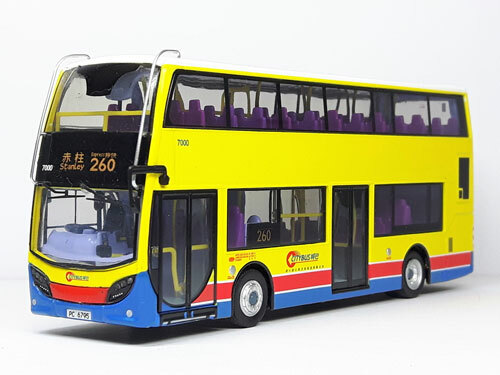 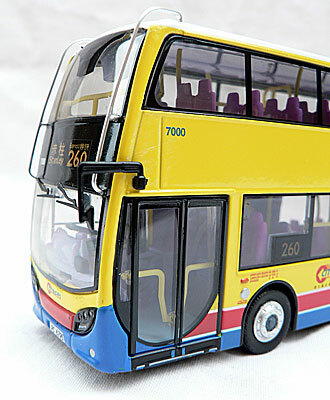 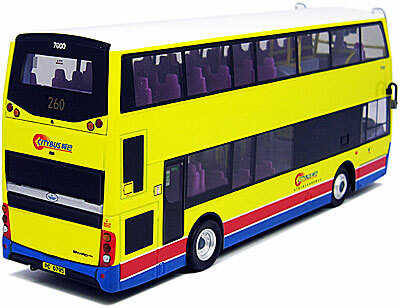 The model - With the release of the Kowloon Motor Bus example back in May 2011, it was only a matter of time before one of Citybus's two examples was modelled, and confirmation was received on 28th July 2011, one day prior to the model going on sale. 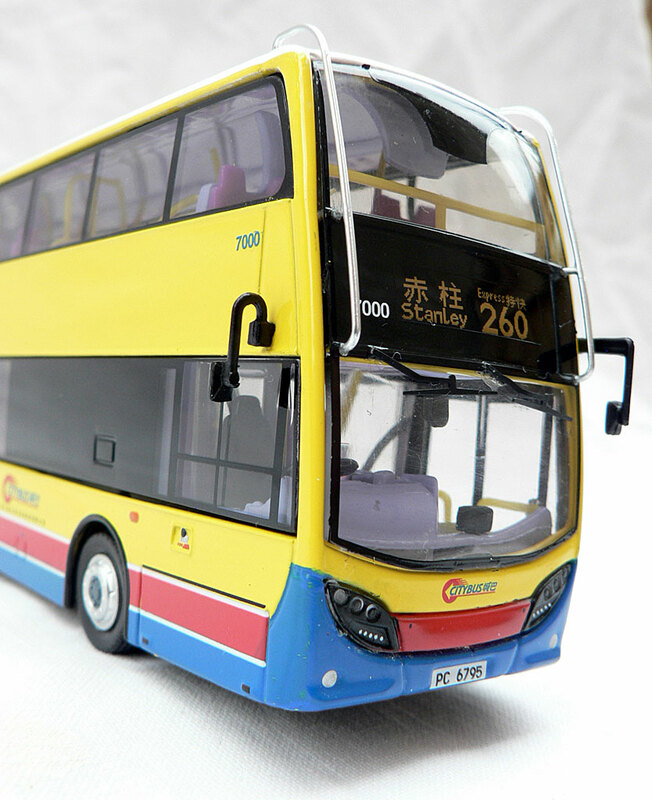 The most noticeable difference between this and the previous model is the fitting of tree deflectors, which KMB chose to remove. 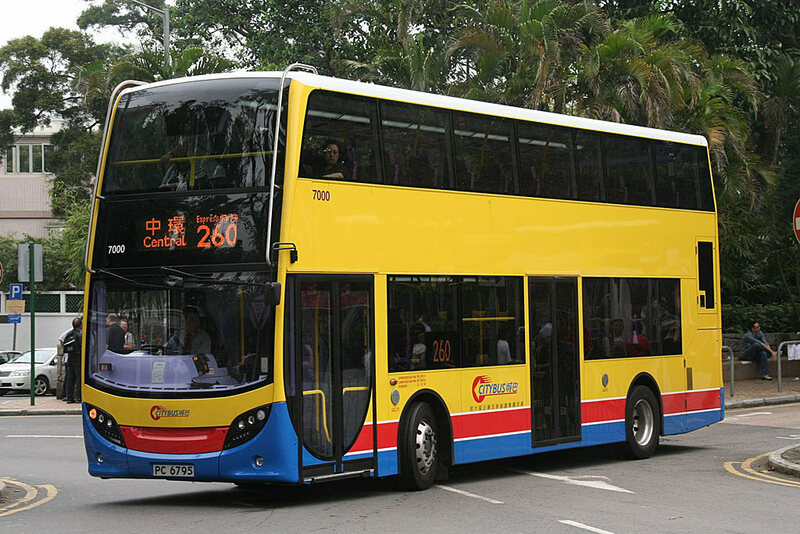 The bus - three-axle double deckers have been the norm for Hong Kong for the past twenty years, so it was a surprise when in early in 2009 it was confirmed both Kowloon Motor Bus and Citybus had placed an order for one vehicle, presumably for evaluation purposes. 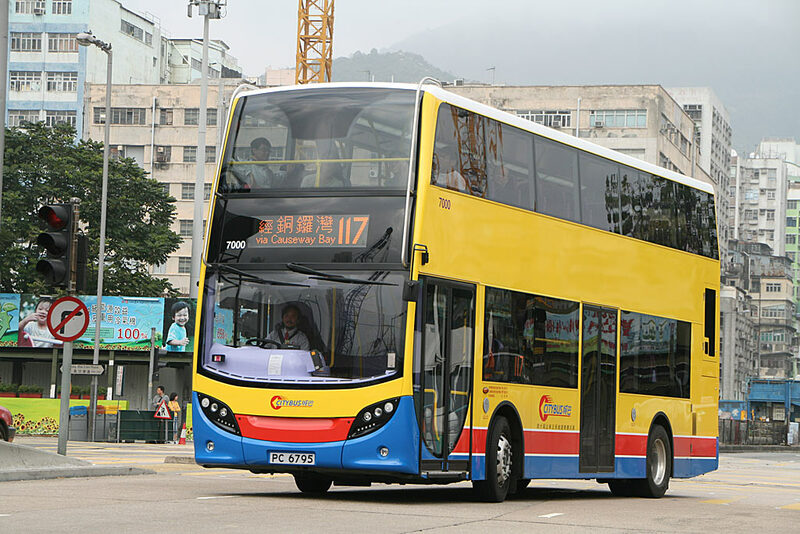 It is believed that special dispensation has been granted by the Hong Kong Transport Department to allow these buses to operate as their weights exceed the current maximum allowed for two axle buses. These two buses arrived in Hong Kong, from the UK, on 23rd November 2009. The Citybus example was allocated fleet number 7000 and was registered on 1st February 2010, entering service a week later. 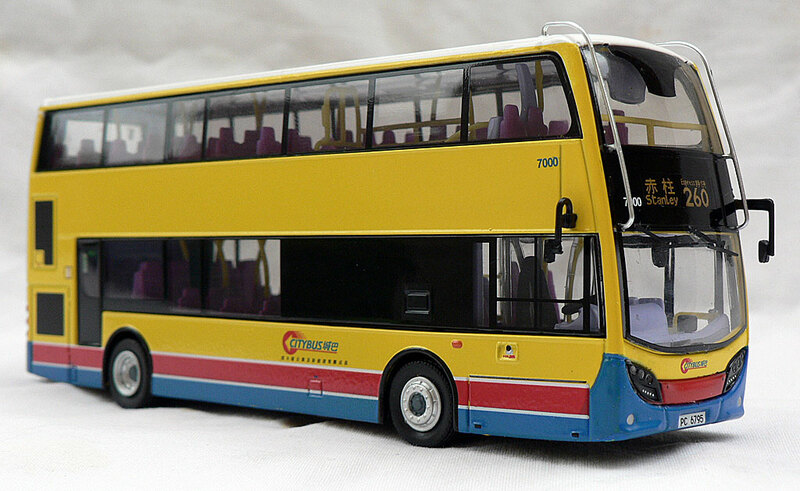 These models differ quite considerably from the standard UK version, losing the large curved upper windscreen and the rather ugly, in my opinion, front upper side window. 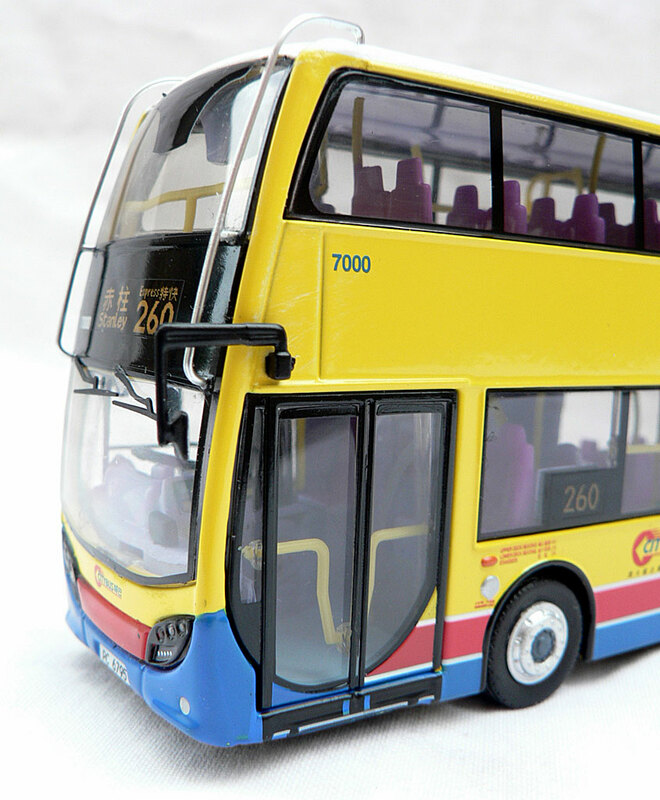 The rear is also much improved. They feature full air-conditioning and are 10.5 metres in length. 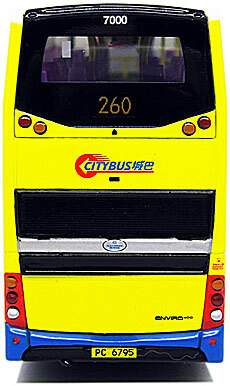 Further details of the bus can be found in the section of the site.